We are the only Polish manufacturer of perforated heat-shrinkable film in the patented ZIPACK system. Our solutions are used by the largest global companies in the beverage industry. Our offer includes film with a multi-pack split system. 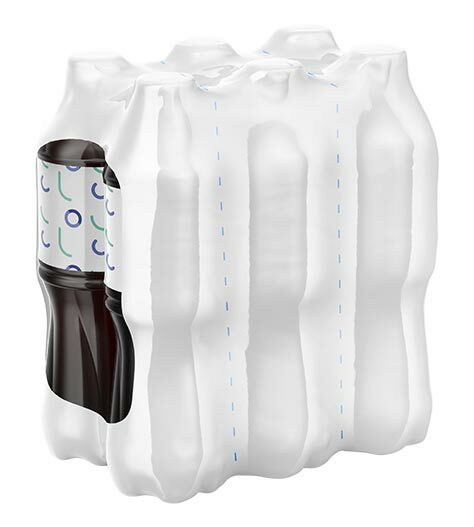 It is an innovative way of packing beverages without reducing the quality and production efficiency. Such a solution saves money compared to standard two-pack packages due to the lower amount of used film. In addition, a multi-pack with such a perforation makes it easier for the consumer to divide it into smaller two-bottle segments that stand stably on the store shelf and are easy to carry. We offer films in printing from 60 to 80 μm in thickness.